One of Birmingham’s largest colleges has failed a government fire safety test in the wake of the Grenfell Tower blaze. Matthew Boulton College, part of Birmingham Metropolitan College, which teaches nearly 22,000 students across the city, announced on Friday that its cladding was “not of limited combustibility”. A spokesperson said the college appreciates that the result “may raise concerns from staff, students, and parents” but moved swiftly to “reassure” them that the Fire and Rescue Service was “satisfied” appropriate fire safety measures to mitigate the risks from fire have been put in place. The college building has now been declared safe for continued use. It was one of 82 buildings across the country that ministers admitted had failed new fire safety checks to test for flammable cladding. 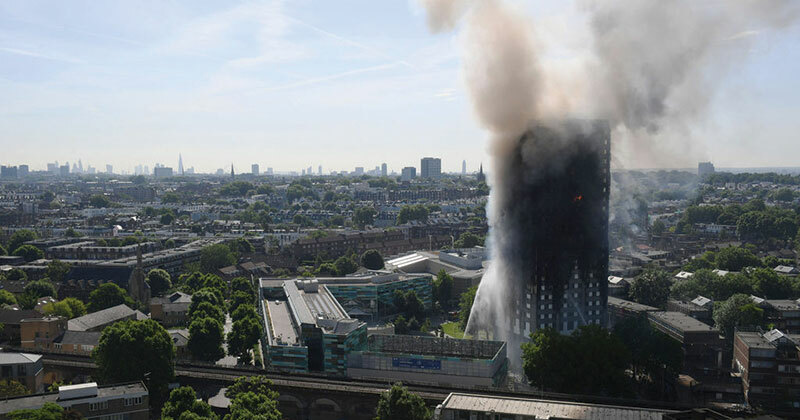 The checks follow the Grenfell Tower fire, in which at least 80 people died at a 24-storey housing block in west London on June 12, and where the death toll is expected to rise considerably. The college said a sample of cladding from its building was taken and tested as part of the national screening process run by the Building Research Establishment. A statement published on the college’s website on July 28 said: “The Fire and Rescue Service has already conducted a precautionary fire safety check of the college. “They are satisfied that the college has in place appropriate fire safety measures to mitigate the risks from fire and the college has declared the building safe for continued use. The statement added that colleges already have to follow a “range of strict fire-safety regulations” designed to ensure buildings are as safe as possible and “we are extremely well prepared in the event of a fire”.